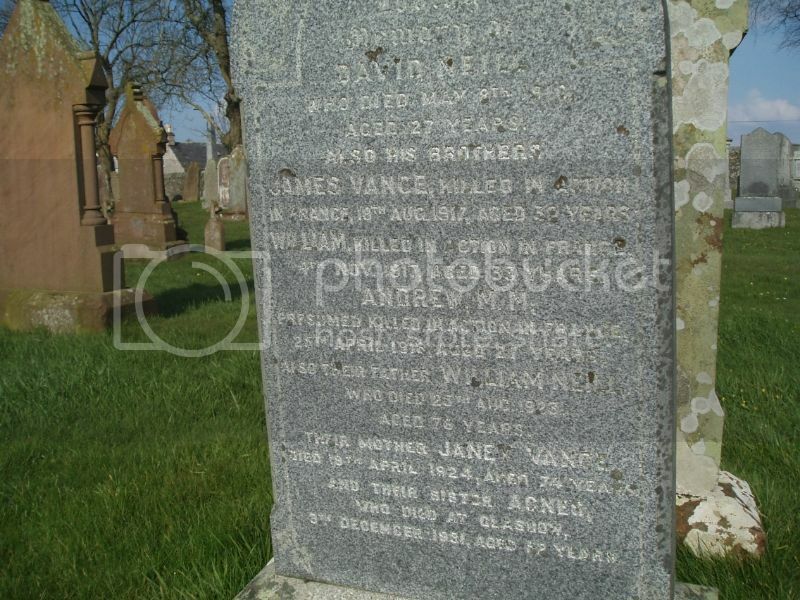 Additional information: Son of William and Janet Neill; husband of Edith Neill, of Ingersoll, Ontario. Born in Scotland. 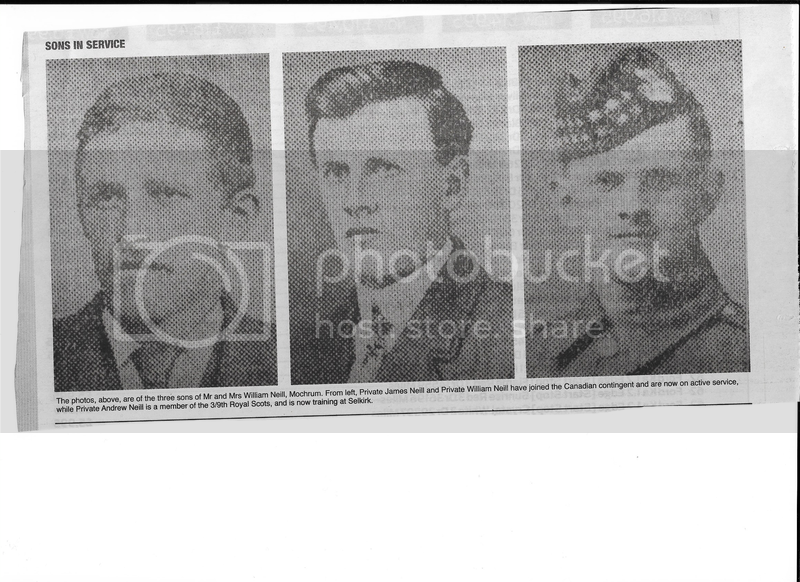 His brothers Andrew Cloakie Neill and William Neill also fell. 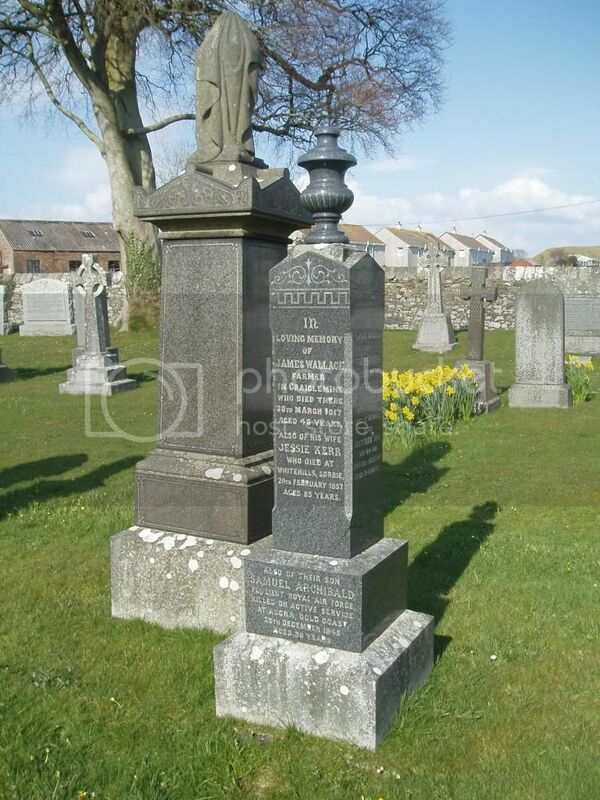 Additional information: Son of the late William and Janet Neill, of Mochrum, Wigtownshire, Scotland. His brothers James Vance Neill and Andrew Cloakie Neill also fell. Additional information: Son of the late William and Janet Neill. His brothers James Vance Neill and William Neill also fell. 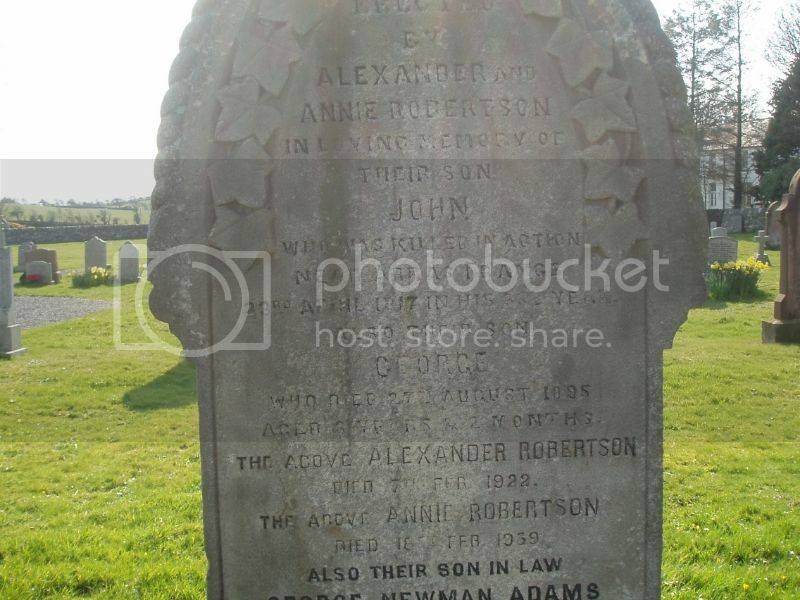 Additional information: Son of Mr. and Mrs. A. Robertson, of South St., Port William Wigtownshire. Cemetery: Cherisy Road East Cemetery, Heninel. 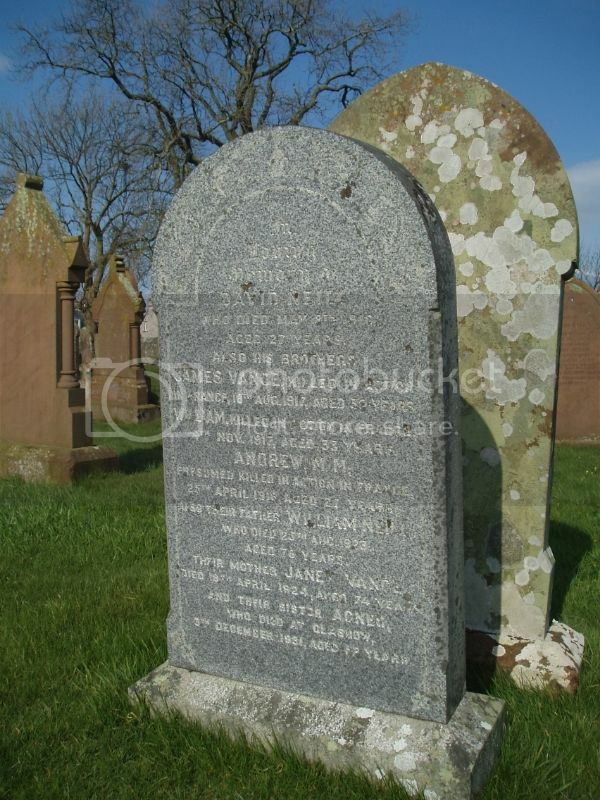 Wigtownshire Free Press (21 June 1917) reported: Mr and Mrs Alex Robertson, High Street, Port William, Have received official intimation that their eldest son, Private John Robertson, RSF, has been killed in action. Private Robertson joined the colours in November 1914, and had only been a few months at the front when he met his death. 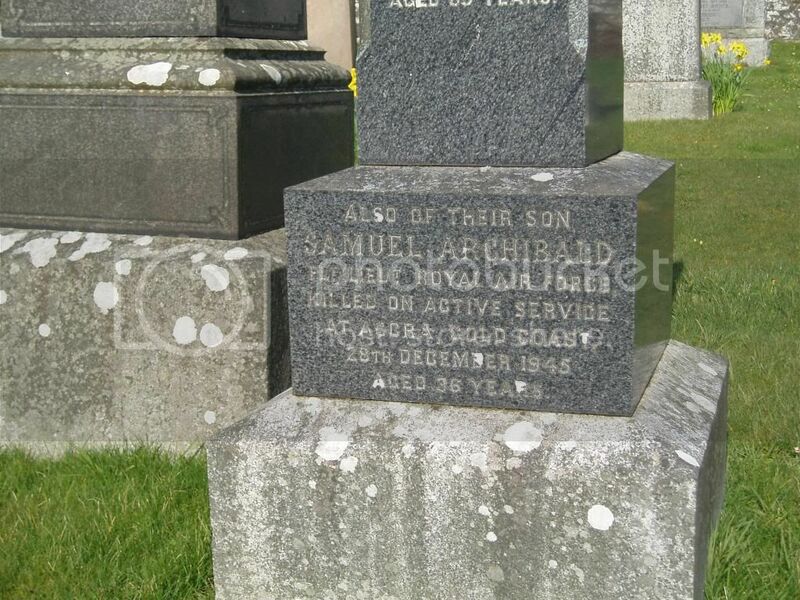 In civil life he was employed for a number of years in Messrs Arthur & Co, Glasgow, and, previous to the outbreak of war, with Messrs Barr, aerated water manufacturers. A youger brother, Pte Alex Robertson, is at present serving with the Canadians. 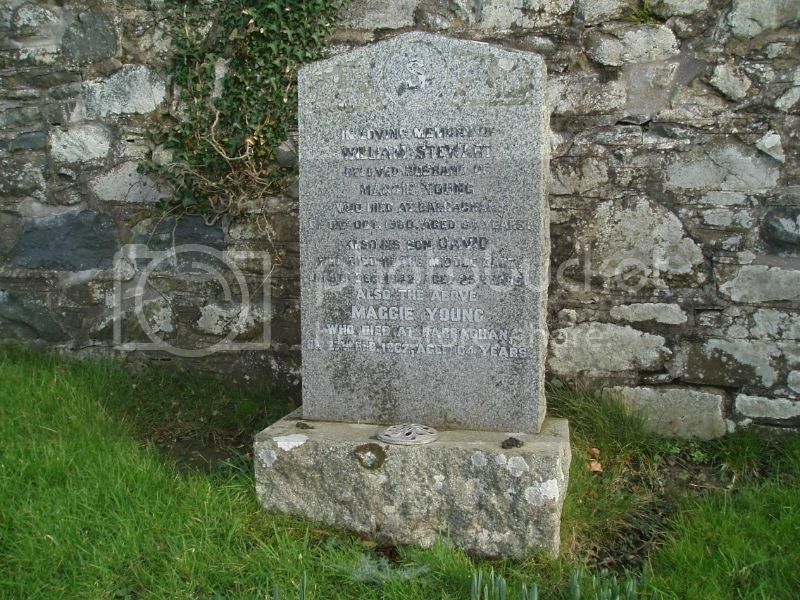 Additional Information: Son of Robert and Christina Stewart, of Killantrae, Port William, Wigtownshire. 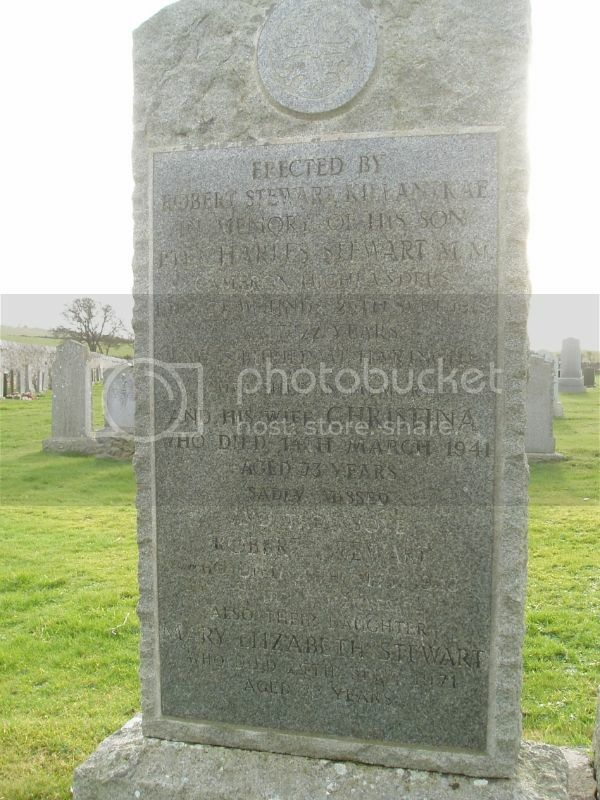 Wigtownshire Free Press (12 September 1918) reported: Mrs Stewart, Killantrae, Port William, has received word that her son, Pte Charles Stewart, Camerson Highlanders, has been awarded the Military Medal. Private Stewart was a joiner to trade before enlistment. 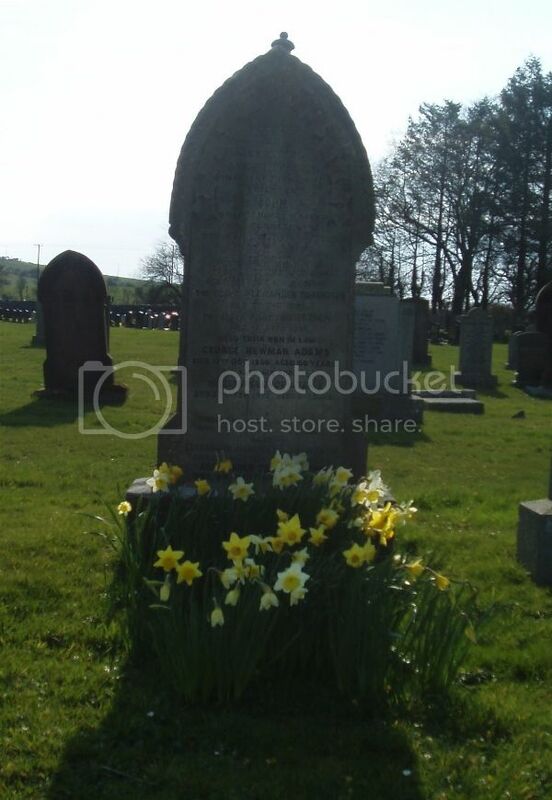 Additional Information: Son of William and Margaret Stewart, of Port William, Wigtownshire. Additional information: Son of James and Jessie Wallace. B.Sc. Engineering (Glasgow). Thanks to John Houston we now know that Flt Lieut Wallace studied at the University of Glasgow from 1927 and graduated BSc in 1932. He studied Engineering and went on to become an Electrical Engineer. His name will be added to the University's Roll of Honour. 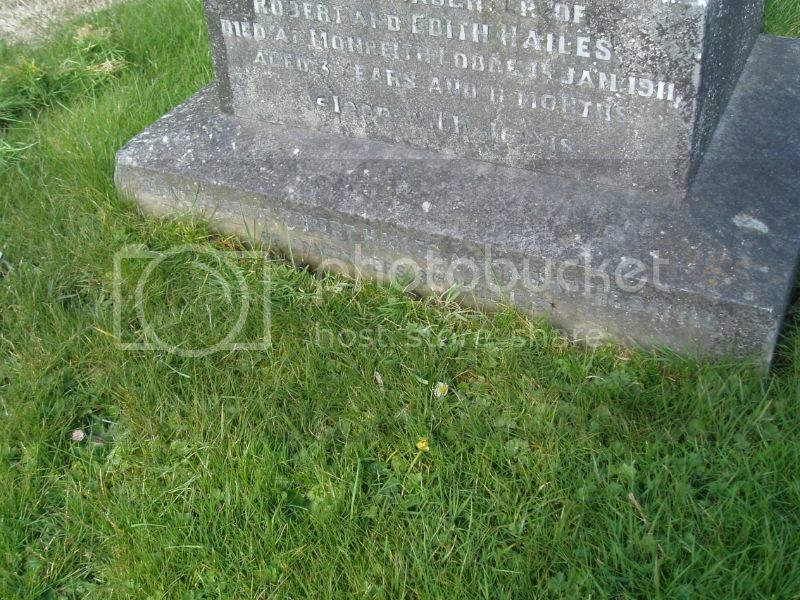 Additional Information: Son of Joseph and Hannah Hailes, of Thornham Magna, Eye, Suffolk; husband of Edith Ann Hailes, of Derby House, Broad Walk, Buxton, Derbyshire. 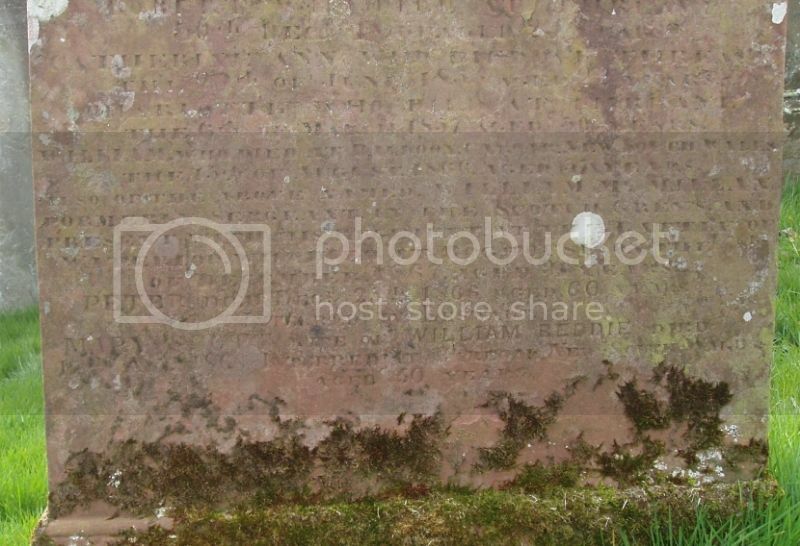 The grave stone is actually for Pte Hailes’ daughter but at the very bottom, almost obscured by grass it reads: Also the above Robert Hailes missing at the Battle of Armentiers 9th April 1918. 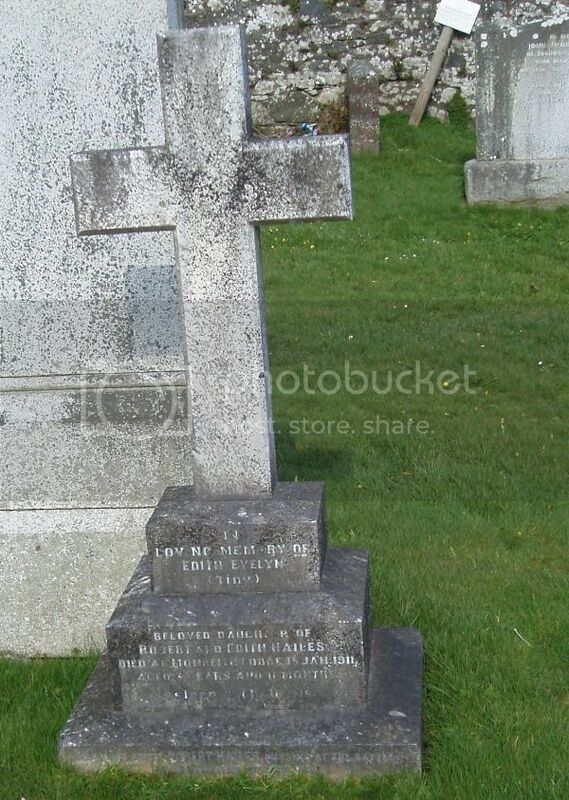 The inscription reads: Also of the above named William McMillan formerly Sergeant of the Scots Greys and present with his regiment at the Battle of Waterloo who died at Boghouse on the 7th December 1867. 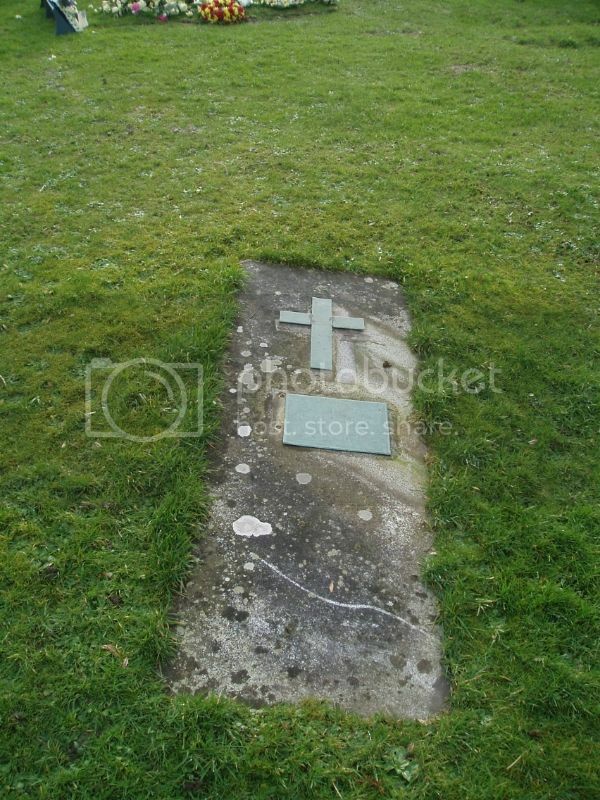 A rather unusual grave. 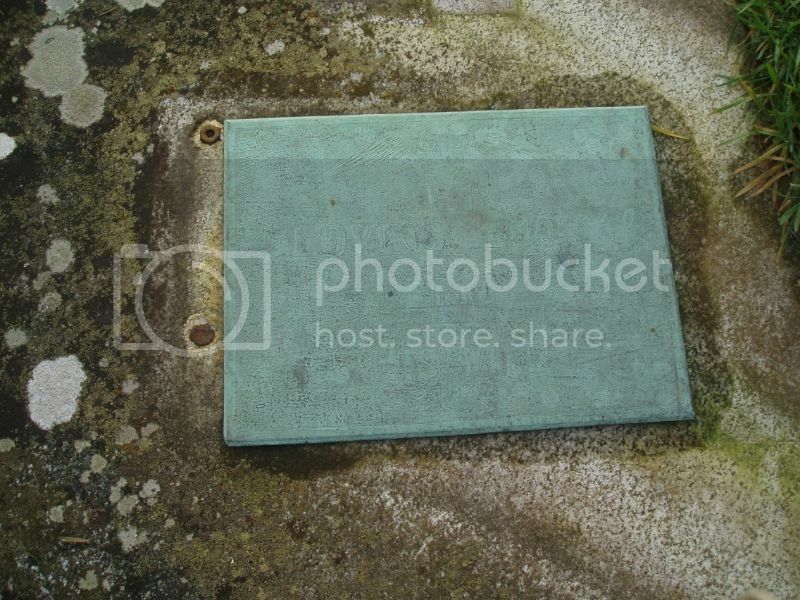 The stone is flat to the ground and has two thin metal engraved plates (one of which has come loose). One is in the form of a cross and the other is engraved: RIP In loving memory of Eric Capt Stewart RA. From his wife 1937. If anyone else can throw any light on the identification of Capt Stewart I'd be grateful. 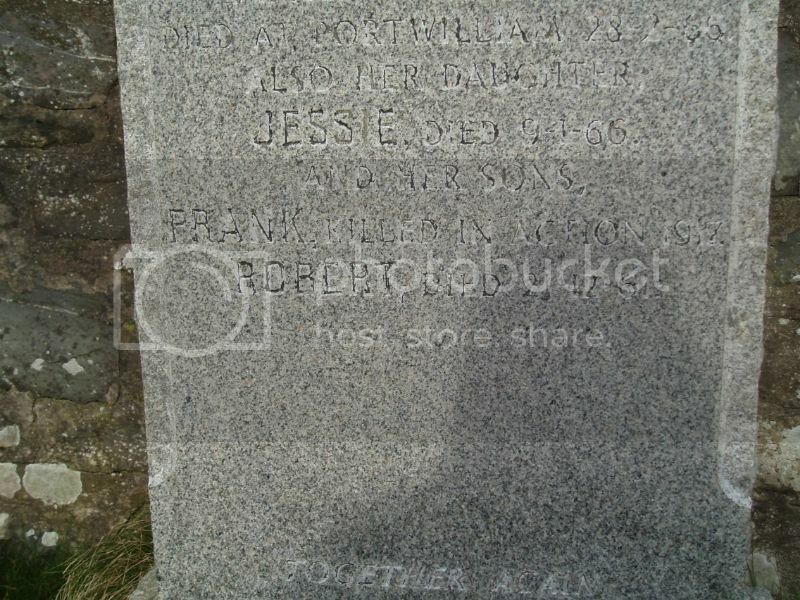 The engraving is not deep so it is hard to pick up much detail in the photograph. Galloway Gazette 5 June 1937: A man's body was found by a fisherman on the Port William shore on Tuesday, at Lagg Bay, Kirkmaiden, and the Wigtownshire Police are endeavouring to establish identity. The man appears to have been six feet in height and of good physique. The head, legs and hands were missing. He was clothed in a blue poplin shirt with a 16 in. neckband. No. C. 277g wrist-bands of the shirt have two mother of pearl buttons on the same side and are of military pattern: grey polo jersey, ribbed with two fawn strips knitted into collar qauter inch broad and half an inch apart: another grey jersey below with "Austin Reed of Regent Street" on tag: woollen vest with "Springjoy Interlock. English made, original fabric" on the tab. 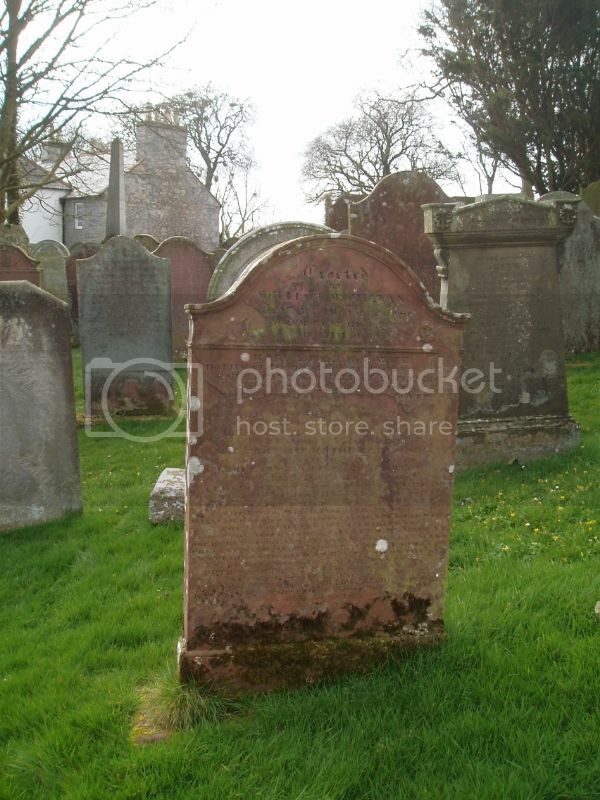 The body was removed to the Mortuary at Mochrum Churchyard. Not far from it were some two dozen school children's jotters, bearing the title "Whitehaven Education Committee". Some of those bore the date February 1937. It is thought that the body had probably been in the water six months. Galloway Gazette 3 July 1937: The body that was washed up at Lagg Bay, Monrieth, on the Wigtownshire coast in June has been identified as that of Captain Eric Stewart, pilot of an airplane that fell into the Irish Sea on January 25. The machine crashed 25 miles out from the mouth of the River Mersey. The mechanic who accompanied Captain Stewart was picked up by a steamer, and a search was made at the time for the pilot without success. Captain Stewart was a New Zealander and was employed with a commercial aviation company. His widow resides at Upton Road, Broadstairs, Kent. Identification was effected by laundry tabs on the under clothing. Frank Ferguson. Killed in action in 1917 but I haven't been able to identify which Frank Ferguson he may be. 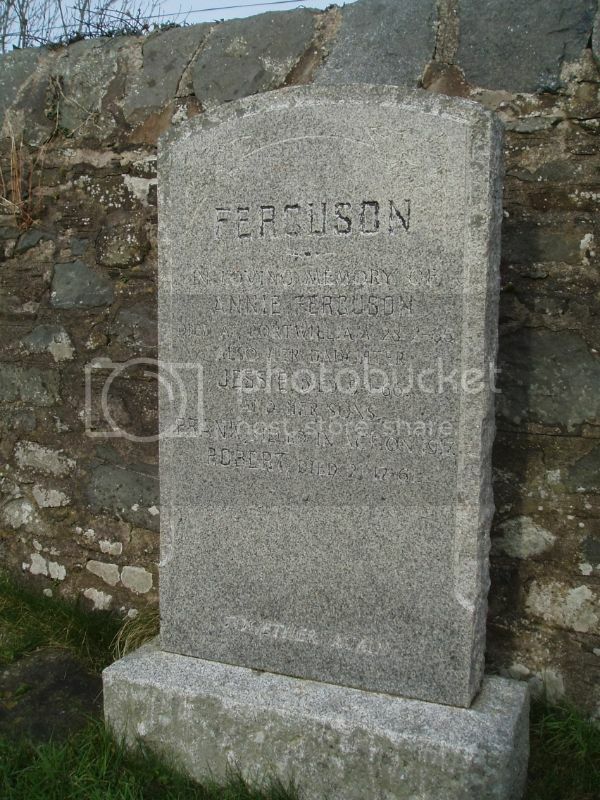 On the death notice of his mother, Annie, in the 60s her surname was spelt Fergusson.